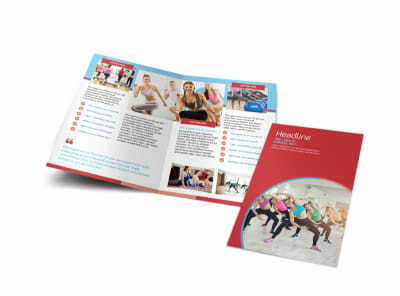 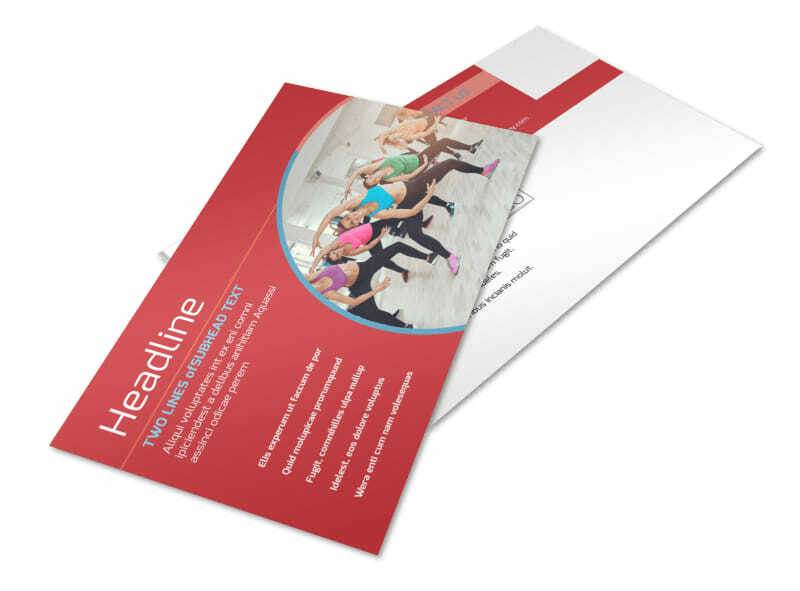 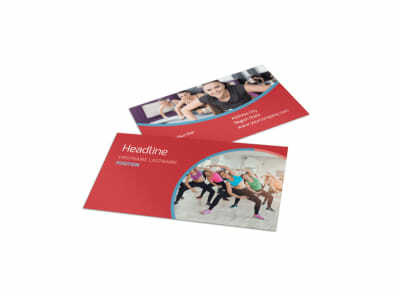 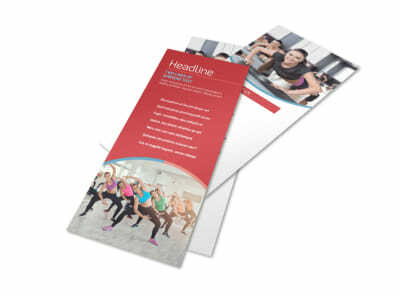 Customize our Adult Aerobics Class Postcard Template and more! 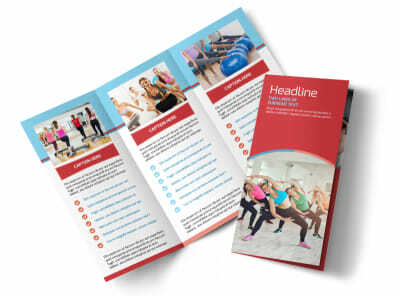 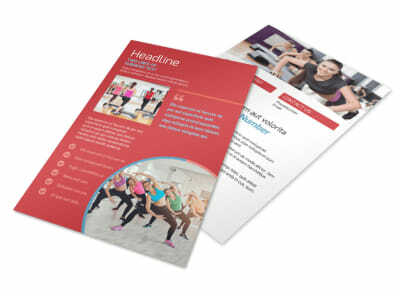 Kick up your adult aerobics class campaign a notch with these adult aerobics class postcards designed with our interactive templates. 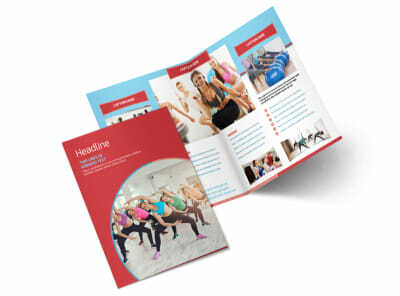 Add pictures from your class sessions or use stock images from our photo gallery, switch up the colors, and personalize other design elements. 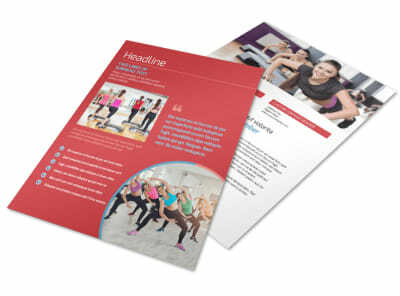 Include important information such as class dates, times, and registration fees so potential students can easily enroll.